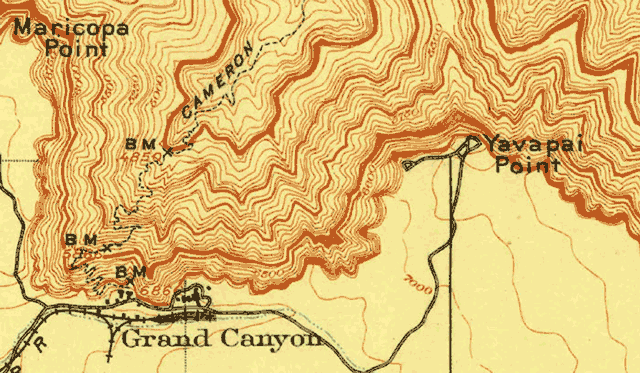 When I look at old canyon maps, one of the things that captivates me is the degree of difference between Grand Canyon’s historic and modern trail system. Study the maps long enough, and you’ll notice that some of the trail routings have changed over time. 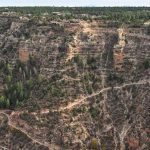 The Bright Angel Trail is one such trail. 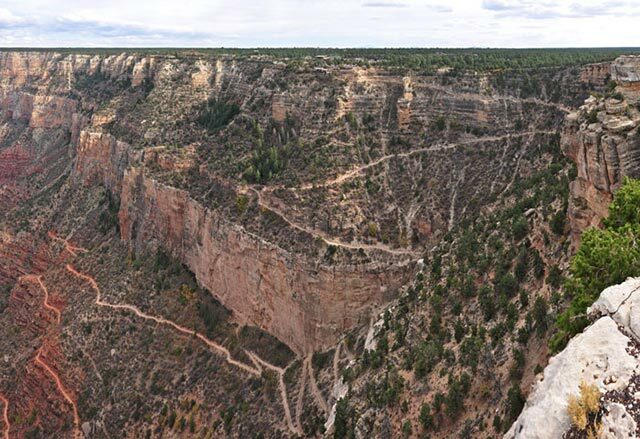 Avid canyon hikers know that the Bright Angel Trail was not always the Bright Angel Trail. 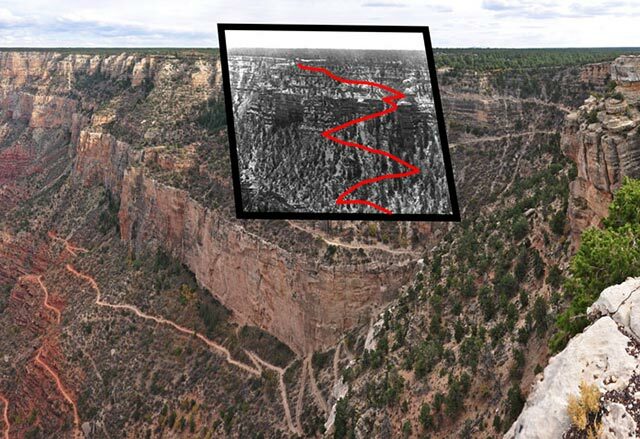 It began life as a Native American route, was developed as a private “toll road” by businessman Ralph Cameron, and was eventually taken over and improved by the National Park Service. 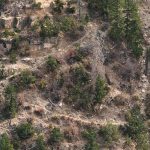 Over the years, the trail has changed significantly. 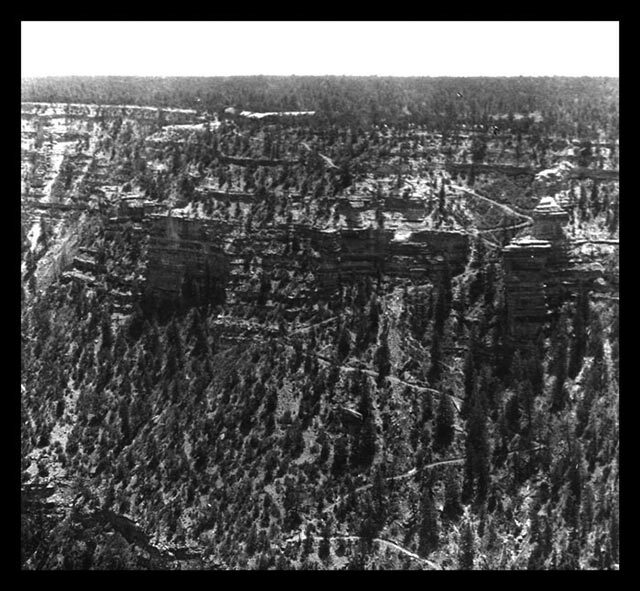 The above photo was taken as part of the Matthes Survey in 1903, and it depicts the trail in the early days of Grand Canyon tourism. The Kolb brothers had yet to build their eponymous studio, and the El Tovar lodge wouldn’t be completed for another two years. 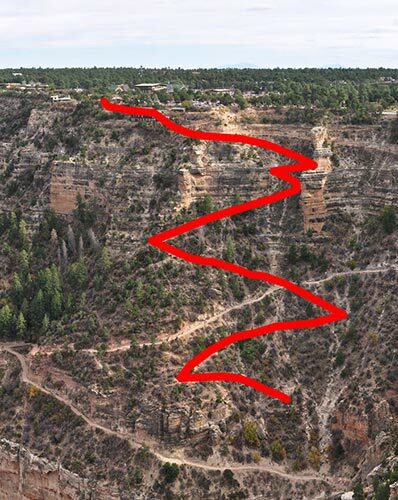 At the time, the Bright Angel Trail was known as the Cameron Trail. 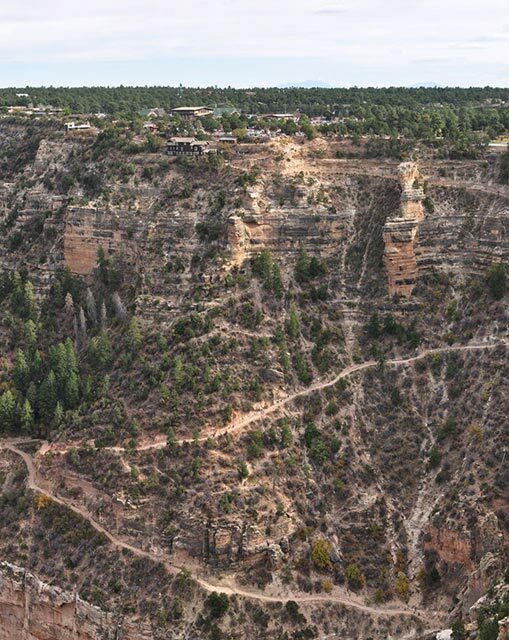 Instead of beginning with a long, wide, switchback, the trail nosedives into the canyon. Compare that steep descent with today’s relatively tame routing. 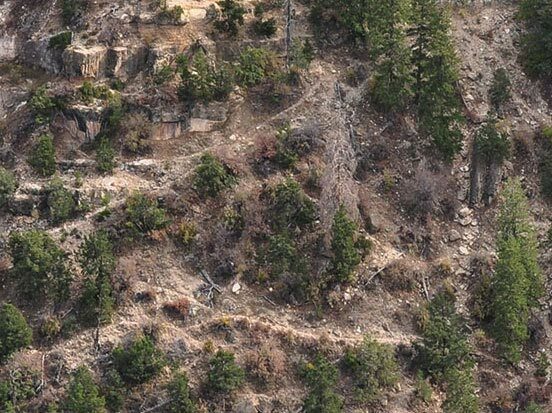 Of course, humans have been scarring the landscape since the dawn of civilization. (It’s only recently that there have been seven billion of us doing it.) But back in 1903, you’d be met with a blank stare if you mentioned Leave No Trace ethics. 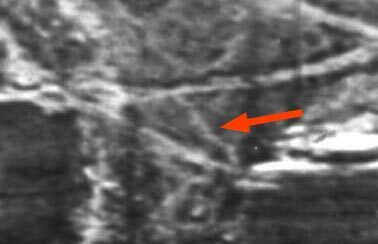 So perhaps it’s no surprise to see evidence of switchback cutting 111 years ago!